Lark Writes...on books and life: I want this! OK I want both of these bad boys! Yep! That would be awesome. Only I’d want the ocean out that window. Me too! I love book-adjacent posts like these. 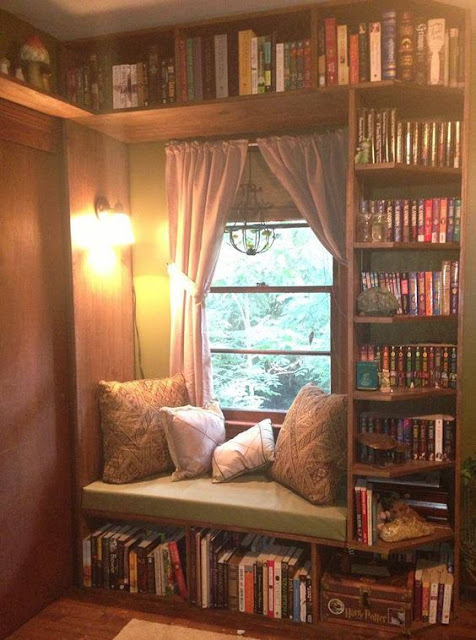 And if there were an HGTV series about renovating homes to create snub library spaces like this? That would be fabulous. Who cares about granite counter tops? Hee hee. 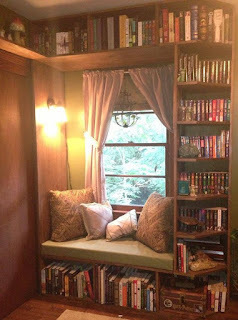 :D Yeah, I don't need granite either...but a show about creating your own cozy reading nooks and your own library? I'd totally watch that! 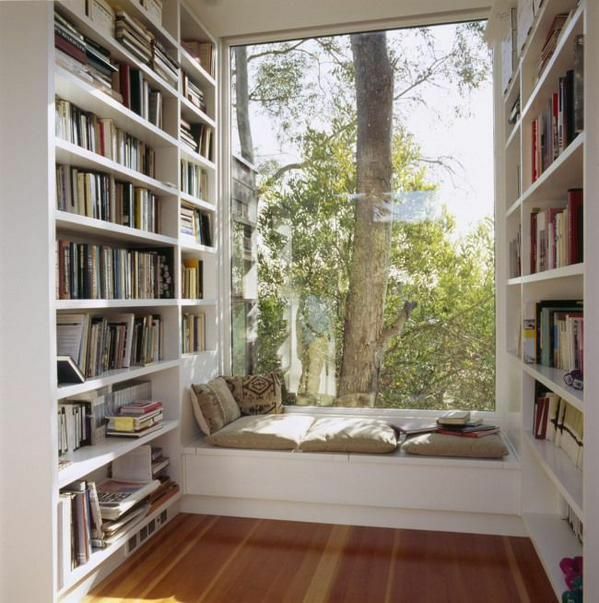 Lovely, but I wonder if I'd end up gazing out the window more than reading. But just look at all the books right at hand! Gazing out a window isn't a bad way to spend a day. :) Eventually you'd get back to your book. I like them both. The first has a more expansive window which I like. The second is nice too and the burnt orange walls perfect for reading Victorian and gothic lit. I love the one you want - its perfect!